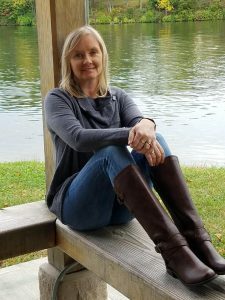 ~ Kerry O'Malley Cerra ~ – Author of middle-grade books for kids! Thanks for finding me here. I hope you’ll spend some time on the site to learn more about my book and me. If you have any questions, feel free to leave a comment at the bottom, or click on the “Contact Me” tab to find out how to reach me by email. Hi, Arianna. Thanks so much for writing to me to let me know. I’m glad you liked the book, and I hope to have another out soon. Your Uncle Rodney is the BEST!!! I hope I get to meet you in person some time. Until then, hugs to you. Hi! My name is Kelly Lawrence , I live in Houston Tx. I was wondering if you were planning on publishing another book any time soon. I loved your book “Just a Drop of Water”. PLEASE WRITE ANOTHER BOOK! Hi, Kelly! It’s so great to hear from you–and all the way from Texas…yay! I lived in Plano, Tx while in 1st, 2nd, and 3rd grade, and I have fond memories. To answer your question, yes, I have another book. It’s finished, and I’m hoping to sell it soon. I’m glad you loved Just a Drop of Water. It wasn’t an easy story to tell, but it’s always wonderful when it can touch readers in some way. All my best to you! Can you please find a book for me I like sports and Also like the eagles. Hi, Grant. Since you mentioned the Eagles (YAY! ), I’ll stick mostly to football stories. If you need more recs, let me know. Happy reading! hi its vince from all saints the kid who asked to take a selfie with you in 6th grade. I loved the book “Just a Drop of Water”. I felt every emotion in that book. I hope that’s book blows up across the world. Vince, it’s great to hear from you. I’m so glad you liked Just a Drop of Water. I’ll be in touch with Mrs. Gress because I do want to come back and take that photo. Keep reading! Ha! Thank you. It was so great to meet you, and I wish you much happiness! Hi, Katelyn. I loved my visit to Chillicothe. You guys are so much fun to hang out with. Hugs! I loved your book. Thank you for visiting our school. It was nice to meet you, and that game we played of, sitting down and stuff, that was really fun. I wish I had you autograph. I don’t have a book though, what is it like in Florida? Where can I find those books you were talking about, your friends and stuff. Bye Kerry O’Malley Cerra! Please comment to me on email. Hi, Kylee. It was great to meet you and your classmates as well. I had such a nice day with you all. If you don’t mind being hot–sometimes very, very hot–then Florida is great because we have really pretty beaches. That’s where I go during the day when I get stuck writing. It helps me clear my head. Your school librarian wrote down the titles of all the books I shared during my presentation, so if you ask her, she will let you know what they are. I was happy that your library even has several of those books already on the shelves. Happy reading to you. Thank you for replying. It’s been a long time since I was on here. You are pretty. You remind me of phoebe buffay on friends. I hope you make another book so you can come back. Ha! Well, thank you. I do love Friends, and Phoebe is a lot of fun. I’ll take it. I too hope we can meet again. Happy reading, until then. Hi, Tyler. It was great to meet you. I had so much fun in Missouri and hope to make it back again sometime. Thanks for being such great listeners. Hi! my name is Harlee, and you visted our school today. I think you have a very, Very awesome BOOK! Our teacher read it to us. I have a couple of questions for you because we ran out of time at the assemble. Where was your husband when 9-11 struck? Do you think you will write another historical fiction book? Hi, Harlee. Thanks soooo much for your kind words about my book. My husband was an assistant principal at a local high school at the time 9/11 occurred, so he was at work and knew about the attacks before I did. I do hope another historical topic will strike me as something I need to write about soon. I do love the research. But so far, though I know of a lot of great historical events, nothing has really spoken to me yet. Until then, I hope you’ll read my two contemporary fiction books once I sell them for publication. Hugs! Kylee, I’m so glad Mrs. Davison invited me to come to Missouri. I had so much fun meeting all of you at CMS and hope our paths will cross again someday. It was so great to meet you and your classmates. I had a fantastic day with you guys. Thanks for the compliments! Have you ever heard of the disease called fabry? Fabry disease (/ˈfɑːbri/) (also known as Fabry’s disease, Anderson-Fabry disease, angiokeratoma corporis diffusum, and alpha-galactosidase A deficiency) is a rare genetic lysosomal storage disease, inherited in an X-linked manner. Fabry disease can cause a wide range of systemic symptoms. It is a form of sphingolipidosis, as it involves dysfunctional metabolism of sphingolipids. The disease is named after one of its discoverers, Johannes Fabry (June 1, 1860 – June 29, 1930). I got thet from wikipedia. Just to let you know what it is. And i have to go to a infusion tomorrow for it. Logan, no, I’ve never heard of it, but I did just look it up. I’m so sorry that this is something you endure. I’m praying your infusion went well, and I’ll continue prayers that a cure for this will be found. Hugs to you! Can you please find a book for me? I am interested in funny books, Historical fiction and horror ones. I also met you at the USF Click conference. But can you help me find a book? Email me, My email is nianyori@gmail.com. Cya! Also I read your book and it was AMAZING!!!! In school we’re reading your book, Just a Drop of Water. It’s really good book. Do you have other books like these to read? Hi, Emir. I’m thrilled to know you’re reading my book in school, and I’m equally happy to know you are enjoying it. For other books similar to mine, try Under the Blood Red Sun by Graham Salisbury, and The Last Cherry Blossom by Kathleen Burkinshaw. They are both fantastic! Please tell your classmates I said hello! If you like my book, you will probably also like UNDER THE BLOOD RED SUN by Graham Salisbury and THE LAST CHERRY BLOSSOM by Kathleen Burkinshaw. Let me know if you decide to read either of them.